Watch the American Assassin trailer, starring Dylan O’Brien, Michael Keaton and Sanaa Lathan. Watch the Maze Runner: The Death Cure trailer, starring Dylan O’Brien and Kaya Scodelario. Dylan O’Brien and his fellow Gladers return in the next chapter of The Maze Runner saga. 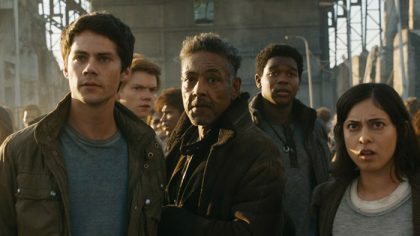 Maze Runner: The Scorch Trials gets a new action-packed trailer, teasing new dangers and allies for Thomas and his companions.